Apple’s hardware sales largely flat despite iPhone success | What Hi-Fi? While iPhone revenue grew 14% year-on-year, bigger leaps in Apple's services sector could see company revenue relying on the likes of Apple Music. Last night Apple announced its financial results for the second quarter of 2018, posting a quarterly revenue of $61.1bn - a 16 per cent increase from the same quarter from a year earlier, and in-line with the company’s own predictions. CEO Tim Cook hailed it as Apple’s “best March quarter ever”. Much of that was down to iPhone revenue, which grew 14 per cent year-on-year - even though shipments actually only grew by 3%. The iPhone made $38m revenue in Q2 2018, compared to $33m in the same quarter a year earlier. iPhone revenue was down 31% from the previous 2018 quarter, although that isn’t surprising considering this is when the iPhone X launched. In light of the speculation surrounding its iPhone X sales - after predictions Apple’s £999 flagship phone wasn’t the hot-cakes product the company had hoped for - the numbers seem encouraging. Cook said the company’s iPhone growth was mainly driven by iPhone X. When questioned on the sustainability of the iPhone X’s price, Cook took the opportunity to say this is the first time a top-of-the-line iPhone has been the most popular model. The iPhone X is a "Superbowl winner" according to Cook. He called it a “Superbowl winner” - while you may want it to win by more points, it’s still a winner. In future, Cook said, Apple will continue to provide different iPhones to meet different people’s needs - which could mean more four-figure handsets, folks. While numbers were bandied around a lot less when it came to other hardware products, Luca Maestri (Apple senior vice president and chief financial officer) said wearables (such as the Apple Watch and AirPods) and home products (such as the HomePod and Apple TV) combined for 90% of the total growth of ‘Other Products’, a category that also includes Beats products, iPod, and Apple accessories. The category was down on last quarter, with revenue $4m compared to $5.5m, but up slightly year on year. Cook called AirPods "a runaway hit", noting its “strong performance”, but HomePod talk was hush-hush. 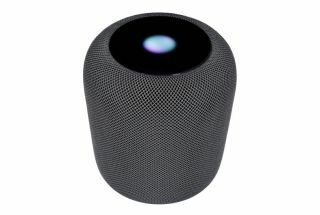 Last month, reports of HomePod stock piling up surfaced. It’s a similar story for iPad revenue, while the growth of Macs is stagnant. While hardware sales didn’t see massive spikes, then, it’s hard to ignore the triumph of the company’s services division. It's proving to be a big growth generator for Apple. It now has 270m paying subscribers to its services and applications in the App Store - revenue is up 31 per cent in revenue year-on-year. As well as iCloud storage, this includes Apple Music paid subscriptions, which recently passed the 40m mark. It’s the only part of Apple’s business that did not see sales decline since the last quarter. Is this where we will see a great deal more investment? Apple to launch 'foldable' phone by 2020?